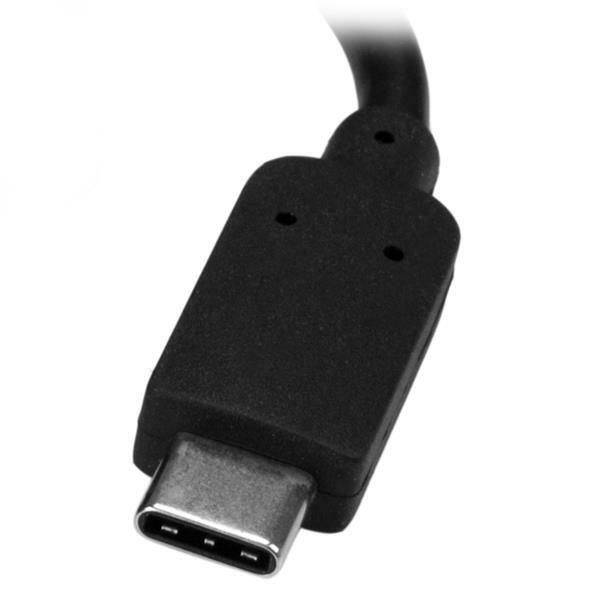 Now you can add a wired network connection to your USB-C enabled laptop, tablet or desktop computer. 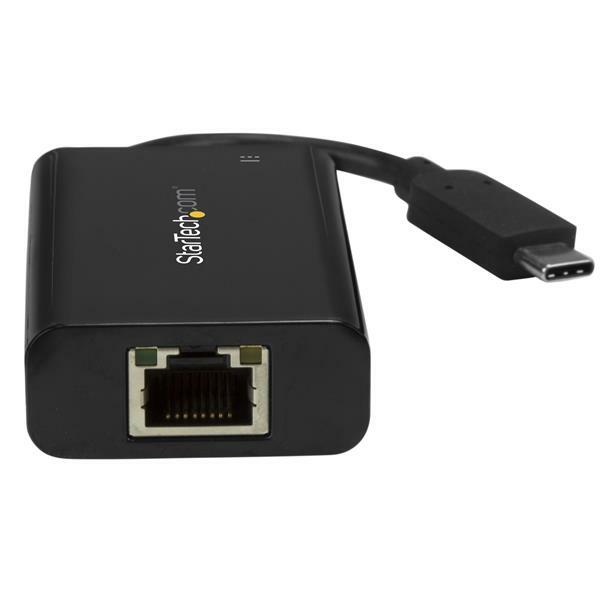 Ideal for mobile use, this USB-C to Ethernet adapter plugs into your USB-C or Thunderbolt™ 3 port to provide wired network access. Plus you can charge your laptop as you work. 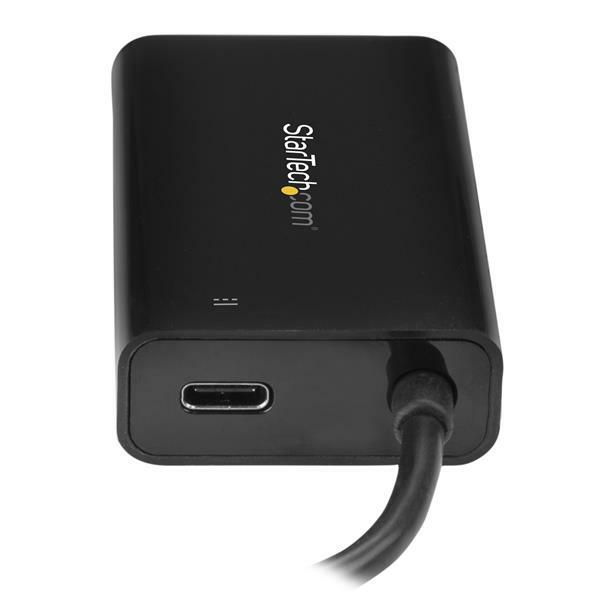 It makes a great companion for your MacBook, Chromebook Pixel™, Dell™ XPS 12, or other device. 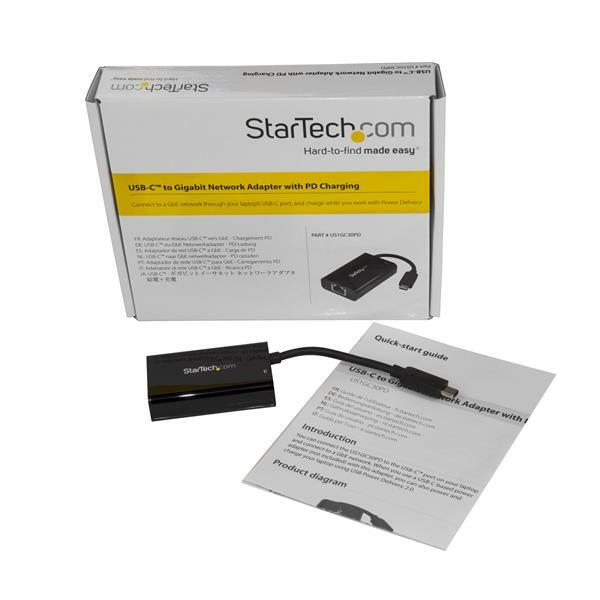 The US1GC30PD is backed by a StarTech.com 2-year warranty and free lifetime technical support. Note The adapter's USB-C port is for USB Power Delivery only. It does not support DisplayPort alt mode, or data transfers. 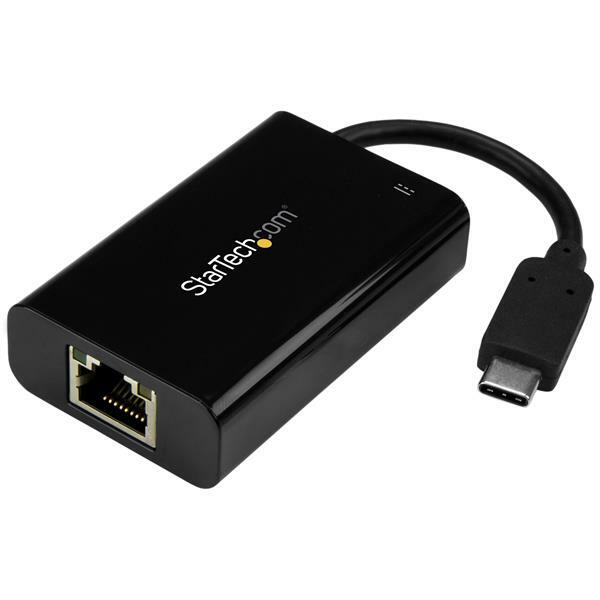 The adapter can connect to a host laptop’s USB-C port that doesn’t support USB Power Delivery 2.0. However, in this configuration if a power adapter is connected to the hub, it will not pass power through to your host laptop.